Sundays are no doubt my favourite day of the week. Not only is it the start of my weekend (thanks retail life), it’s also the only full day Jamie and I get together, and it’s basically the ultimate max-chill-out day, right? Since I’ve moved home from Uni for the Summer I’ve got into a bit of a routine with my Sundays and worked out the perfect day off.. Lie in. Sundays were made for being lazy. They’re the one day you can stay in bed until 12 and in your pj’s till you decide you need a shower, and then proceed to change back into said pj’s straight after. Pancakes. 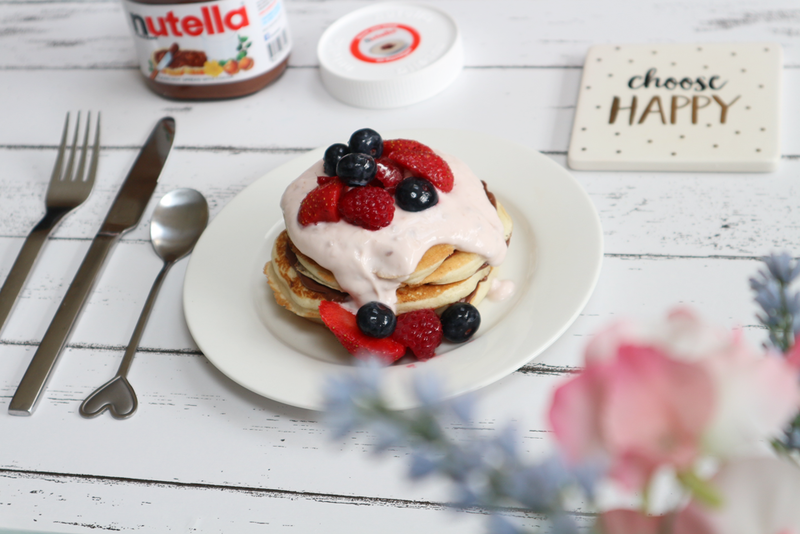 Every Sunday must start with American pancakes. 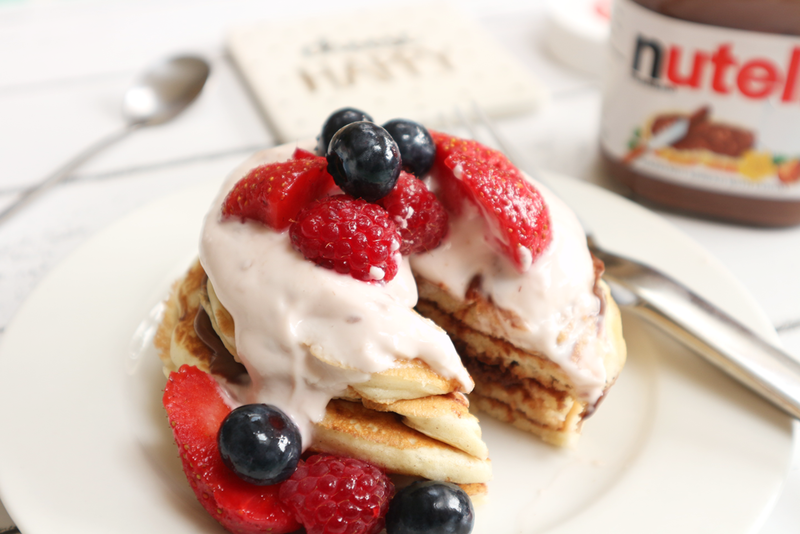 It’s soon become a bit of a tradition for Jamie and I to make some delicious pancakes with yoghurt, fruit and a naughty amount of nutella. They’re so yummy nowadays I end up making double the batch to share with my family. Catch the recipe I use here. Summer stroll. When the weather is as nice as it has been, a pop out of the house can’t be missed. Jamie and I like to use Sundays to take some photos for my blog, which is the perfect excuse to get out and about and get some fresh air. Blogging. My fave Sunday activity. Sunday evening for me is a day of catching up on all my faves posts, writing new posts, scheduling content for my social media and an all round clean up. I like to make sure I’m ready for the week ahead blog-wise! "Review: Maybelline Lash Sensational Mascara"